Last March the Cassini spacecraft took the above picture of a mysterious phenomenon taking place on Saturn. A hexagonal storm encircled the entire north pole. The hexagon is the form of the crystallized stage of water, like a snowflake. 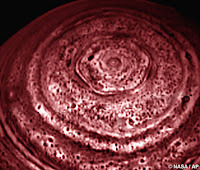 Saturn's nature is cold and crystallizing, so I find it an interesting coincidence that this hexagonal phenomenon was discovered while Saturn was in a water sign, Cancer. For more on the story see http://www.jpl.nasa.gov/news/news.cfm?release=2007-034. Today Saturn shifted into Leo, a fire sign. As I mentioned in my last post, a physical manifestation of this change may come through increased temperatures, volcanic activity, and earthquakes. Sadly almost to the exact moment of transition, there were two 6+ earthquakes in the ring of fire today in Japan. One quake killed 9 elderly people (Saturn rules old age and death), injured more than 1,000, and triggered a leak of contaminated water from a nuclear power plant. The ring of fire is the earthquake zone where water meets fire. The ring of fire was particularly active while Saturn journeyed through the water sign Cancer, beginning with the 2004 tsunami. Water and fire are opposite elements, each able to support or extinguish the other. In Taoist traditions maintaining their balance in the body is the alchemical secret to immortality. According to Yin-Yang theory, everything in the universe can be divided into two opposite, but complementary, aspects of yin (water) and yang (fire). Yin and yang are relative. One cannot exist with out the other. In Vedic astrology the transition of a water sign to fire sign is called Gandanta. It is traditionally seen as an inauspicious position causing misery to the area of influence of the planet. (ie. Saturn rules earth as in land). 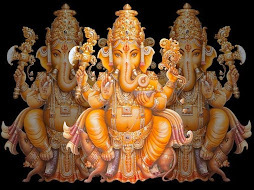 In Sanskrit Gand means knot, or node, and anta means end, in particular the last 3 degrees of a water sign, and first three degrees of a fire sign -- at the three distinct junctions of Pisces (Revati)- Aries (Aswini), Cancer (Ashlesha)- Leo (Magha), and Scorpio (Jyeshta)- Sagittarius (Mula). Each of the Fire signs are the portals to soul growth. Aries marks the beginning of the soul's journey, the individuated or inner self; Leo develops the outer self and material; and Sagittarius designates the point at which the soul turns away from the material as it seeks to merge with universal consciousness. When planets are placed in these positions, they take on a special power to unravel the knot of karma and move on to the next level. If a planets falls in the last three degrees of water sign, it is completing an old cycle; if it falls in the first three degree of a fire sign is beginning a new cycle. On a soul level, Saturn in Leo represents the potential to create social boundaries for the outer self and manifest its pursuit of the material. Saturn is unique in that it is more powerful as it matures, thus gaining strength in the later degrees of a sign. It increased its potency in May when it entered the last three degrees of Cancer, which is part of the Ashlesha nakshatra. The ruling deity of Ashlesha is the Naga or serpent. Saturn has finally finished shedding its skin and is now, though still a little raw, ready to grow a new one. Saturn will be Gandanta through early August. The Gandanta experience can be extremely painful, but it is necessary for the soul to grow into another dimension. 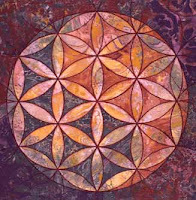 At the Magha/ Leo stage, the soul is finally getting ready to experience life at a material level. While in Leo, the sign of kings, Saturn may also have a sobering effect on world leaders. 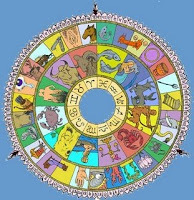 The nakshatra of Magha is ruled by the Pitris, the great Fathers of humanity, who function as guardian angels giving protection in the event of major calamities on earth. Perhaps they were at work in Japan as there were only nine deaths -- of elders, who now have transitioned and have become ancestors. Sending prayers to those suffering from today's earth changes. May the Pitris continue to protect you and all of humanity.